We love beer and never want the fun to end. While the intoxicating effects of alcohol can be great, they can be troublesome too. From hangovers to DUIs, there are risks involved in drinking too much. Breathalyzers are great, but the accurate ones were often large, making them a pain to bring to the bar and the keychain ones weren’t very accurate. That is, until now. 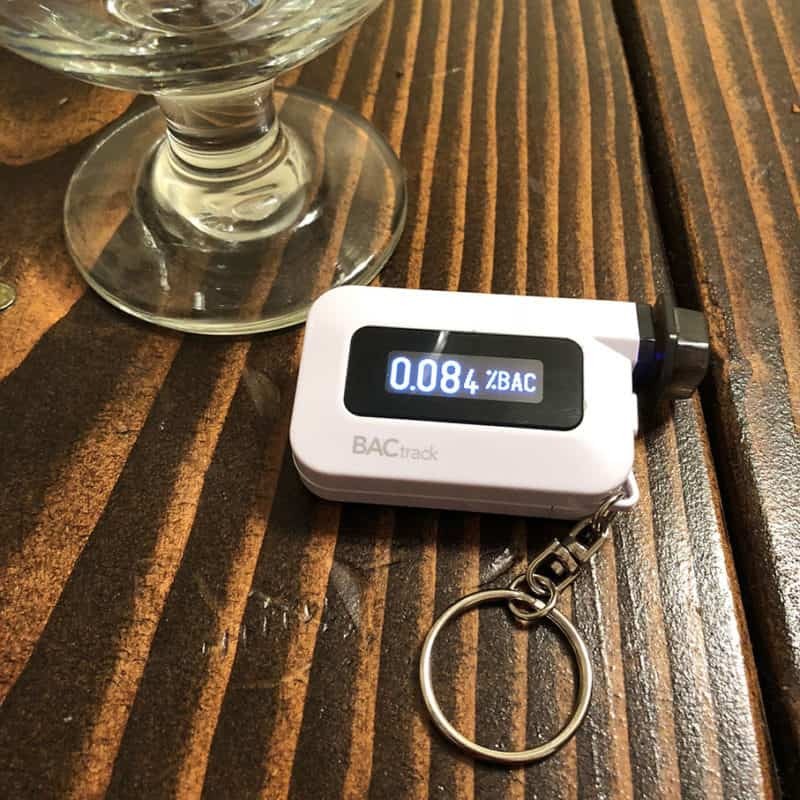 The new BACtrack C6 is the first keychain-sized breathalyzer to pack police-grade sensor technology. Here’s why it’s so awesome. Breathalyzer users use to have to pick either small or accurate but not anymore. The new BACtrack C6 packs an ultra-accurate police-grade sensor into a package small enough to fit on your keychain. Now there’s no reason you can’t bring it with you and get a trusted reading you can rely on. Using the C6 is simple. Press the single button to turn it on. It takes just a couple seconds to warm up, and then prompts you to blow. Take a deep breath and blow until the *beeeeep* noise stops and you hear the unit click. Within seconds, the reading shows on the display (make sure you wait 20 minutes after you last drink or eat to get an accurate measurement). In addition to being small and precise, the BACtrack C6 also comes at a price anyone can afford. For just $49.99, there’s no reason every beer drinker shouldn’t have one and use it. They’re far less costly than a DUI and could save a life too. They may also help you from getting to the point where you’ll be feeling it tomorrow morning. In addition using the built-in screen, the C6 has Bluetooth too. The smartphone connectivity is super cool. Just like the BACtrack Mobile Pro, the C6 can connect to your iPhone or Android device to record readings. 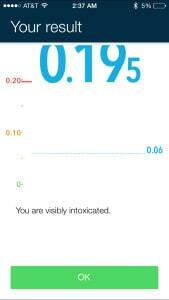 The app also allows you to track your BAC over time and see when you’ll likely sober up. If you’re past the point of safe driving, the app also allows you to call an Uber, so you can get home safe. Making smarter choices when drinking can be made easier by having the ability to accurately gauge your current level of intoxication. 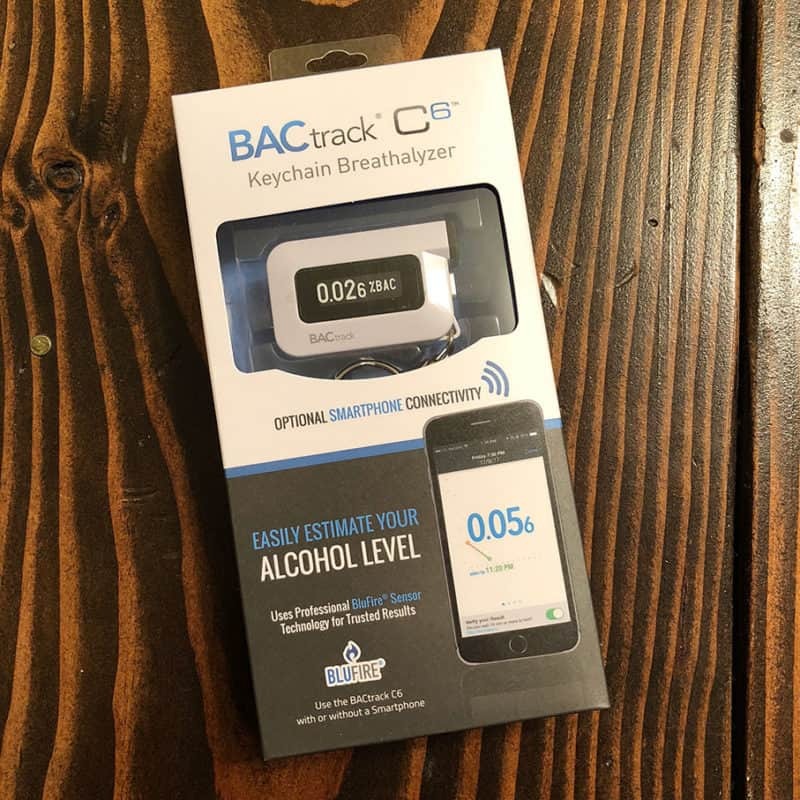 The BACtrack C6 breathalyzer gives you accurate results in a device you can carry with you everywhere. I’ve noticed just having it with has made me more cognizant of how much I’ve had and helped me make smarter choices. Learn more about the BACtrack C6 and buy your own by heading over to their website now.